360° Life is about overcoming obstacles to thrive in a second chance with God. Each page offers you a guide to the tools that God has already made available to you so that you can rise above your circumstances. Full of rich and beautiful testimonies, this book is a great encouragement to those of us who are at a crossroads. I selected this book because I read that the author had recently passed away upon completing it. I was incredibly interested to see what his last words were. I wondered what the legacy of his words contained. I picked it up and saw that he was the pastor of a 17,000 member church, on TBN, and his foreward was by Dodie Osteen. I worried as to what I had gotten into. I must say, I was more than pleasantly surprised by the far reaching impact of this man's life and his exhortation to press on in dire circumstance. I went on to do some more research and read Billy Joe's biography. I am amazed at what one man could accomplish when he submitted his life to Christ in prayer. I highly recommend reading more and checking out 360° Life. I am thankful for the saving power of Christ eternally, externally, and exponentially. Lord, You heal. You bring life. You lead your people. You even lean down to our ears so that we learn to know Your voice. You are breath. You sing over Your children. You bring grown women to their knees in wait for You. Then You come and You lavish us with Your Spirit. Thank You. You are able, available, and victorious. May Your name be lauded over this people. May Your virtue and Your beauty be seen by the generations yet to be born. Open our eyes, Lord. May we see from whence our Help comes. May we see. May we see. May we see. Jane Austen had a rare literary gift to tell a story and a person with a glimpse of reality almost everyone can relish. He books, Pride and Prejudice, Sense and Sensibility, and Emma grip the heart of most every woman I know. This book is a brief telling of who this author was and the life that shaped her writings. I selected this book to review with great anticipation. I truly enjoy Jane Austen's literary works and I thought it would be interesting to know more about her personally. She was quite the interesting character. Though I had quite a hard time with the style of the writer, I gleaned much knowledge and an even deeper admiration for Jane. It was amusing to see her letters to loved ones full of wit and chutzpah. I was also fascinated to see the intellectual male population that enjoyed her works. Her life ended far too soon, but you can see in this book that the life she was permitted was a life well lived. It was deeply encouraging to see her trust in God, even in her death. 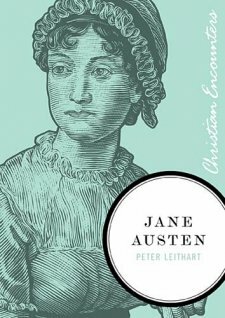 Get to know Jane Austen. We discover much about our own lives through the lives of others. The wise men set out to discover the Lord. I got to thinking about some things from my last post and I wondered what you thought. I got to thinking about husbands. I don't really know many dictator style husbands, but we always see them on the news. They usually end up letting their need for power and control get out of hand until they have done something crazy. They say what to eat, wear, and every aspect of the life of the family. Before, I go on, I am a huge supporter of the man being the head of the house. I just think that we have confused what that looks like. We have veered from the tender washing of the word. There is either no washing or we find people holding their spouses head under the water until they can't breathe. As I was thinking about the dictator husband and the way I am permitted to live, I got sad. You see, I am permitted creativity (a reflection of God's Spirit alive in me). I have the gift of discovery. One of my favorite things is to watch my husband and listen to him about what he loves. I like to uncover what it is that delights him and create those things. I know what my man loves to eat and I delight to cook it. No one has to demand anything from me. I find it joy. The most beautiful thing to me is getting to find out things about him that he could not even discern himself. All of these joys of mine led me to think about the type of relationship we are in with Christ. I wondered if we had become the domineering wife. Has our hard nosed ritualistic and staunch lifestyle left us cold and judgmental? Have the rules we created robbed us of joy? Have we trained ourselves to live in such a way that we can no longer intimately discover what delights our Lord? Do you notice in Ephesians five that God calls the woman to submit and the man to die? Do you think this is accurately represented in our Christian society? What do we need to lay down to discover what delights the Lord? We must train the future generations to turn from the chore and embrace the delight or we will surely die out. May you yearn deeply for Jesus today. For over eight years I have been listening to Denbigh tell me stories. I noticed something a while back. All of his stories were centered around a memory that he made with someone he loved. There were series of special events that marked his mind. My highlights were usually favorite things or places that were a constant in my life so I was always trying to love him by giving him the things that made me feel loved. Then, I realized that Denbigh longed to create memories of special events he shared with me. He also loves surprises (I don't really at all). So, I started plotting and calculating to make memories for him. I made a secret list of things I knew that he loved and I started trying to get him to see either the places or the people he enjoyed most. A lot of this stuff is expensive and it's hard for me to spend money on things that are not tangible. The thing I learned is that they are very tangible to him. I try to surprise him with something small once a month and something big a couple of times a year. As I was with him this past weekend on one of these jaunts, I was overcome with joy to see my husband unbelievably happy. I realized that I had ministered to him in a way that had made him feel deeply loved. I thanked the Lord for making me aware of how best to love my man and I am looking forward to making many more memories. What is your spouse longing for? I was thinking recently about how our society has trained us as women to complain about our husbands and children. I am not talking about asking your friends for prayer. I see so often that we have conditioned ourselves to complain so much that we can barely take a compliment for them. When someone compliments them, our conditioned response is, "don't let looks deceive you." Or something to that effect. We have made these things our programmed response. We think we are being vulnerable and intimate, but really, sharing other people's faults isn't intimate at all. It's gossip and ridicule that effect how others see our family. It is almost impossible to escape in society. That got me to thinking about my grandma. She never had a cross word to say about her family. Of course there were unruly and cantankerous people there, but you wouldn't know it by her. She had the most graceful integrity. I admire that. She lauded her husband and instead of forcing her judgment for his actions on him, she prayed. She lauded the joys of family to others. She praised and prayed and sang over her family. They all succeeded. They all faced life's hardships with vigor and passion because they were confident of love and acceptance. She did this with her friends to. I wondered if our society was denying our children this safe haven. I wondered what a generation would look like that had mostly known ridicule. 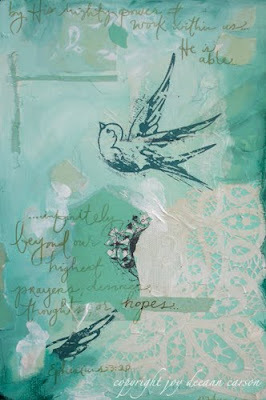 I am praying that God grants me this quiet integrity that prays and does not complain. * Some picture from my week. 1. The Chapel Dulcinea (blog to come) 2. Dealey Plaza "The Grassy Knoll" 3. Laomai at my parent's ranch 4. Me staining Laomai's floor. You can see in her closet to the right as to what the floor used to look like. I sanded this floor by hand and stained it the same. I was really trying to protect the character of the floor. Usually, you mop on stain, but I did it by hand and filled in all of those cracks with an eye dropper. If you want to learn what lengths God goes to in order to restore your life, come work here. It's painstaking and precise. If you need any prayers, let me know. I pray alot while working. Have a blessed week. Today we lost a dear relative, helped with a divine wedding, I gashed open my foot, ate an exquisite dinner, and our cat is having kittens. I am exhausted. Tomorrow, I shall blog and upload many gorgeous pics. Love and blessings to you all. There are unseen lyrics in the human need for the divine. It amazes me every time I see someone forego the hostile nature of man and choose to yearn for the Spirit. Thank you, God, that we can come to you. Thank you that we can turn from hostility against You and enter into a deeply passionate relationship with You. I often find myself bewildered when I see hostility towards God in the church. I am not sure why though. It shouldn't surprise me. I remember hearing once that the only time Jesus ever got into a fight was with church leaders or in church. Did He walk away deeply grieved for what was happening in the church? Did He cry out to the Father after He turned over the tables of the temple? Did He plead His own blood over the adulterous woman attacked by the church leaders? Jesus didn't seem to show much love to these people. Does that seem odd to you? Or was His refusal to tolerate their sin (as they pretended to worship God) the greatest thing He could do? Were some brought to repentance there? Would anyone have foregone the fear of their position to speak truth to them? Love looks like many things. It hardly ever looks like a wishy washy indifference. It never promotes self or constantly draws attention to other's sin. Love is radical. It is confrontational. It is deep. The love of Christ was confronting and intolerant of sin. The love of Christ was most beautifully manifested in grueling death. Love.